Joe Currie, of Capitol Design, is an award-winning kitchen and bath designer based in Austin, Texas. Designing kitchens and baths since 1981, his projects have been featured in local and national magazines, well known buildings such as the Watergate in Washington, DC and the Harbor Terrace in Baltimore, Maryland. Along with luxury kitchens and baths, he has been building a broad design repertoire by designing furniture, home additions, restaurants and bars, and even a media room resembling an 11th century castle for a client in Ludlow, Massachusetts. He has worked on both coasts, and designed homes from New England to sunny Florida. Joe has designed projects for media celebrities, Fortune 500 CEOs, a well known St. Louis chef and many busy families. His projects can be found in historical neighborhoods such as Compton Heights in St. Louis, Missouri, Georgetown in Washington DC, and Castle Hill in downtown Austin, Texas and gated, exclusive neighborhoods Westlake, Barton Springs and Lakeway in the Austin, Texas area. New construction projects include Cimarron Hills in Austin, Castlebridge in Ellicott City, Maryland and Valderrama in Gainesville, Virginia. Most recently, his designs have won 1st and 2nd place in the Washington, DC Metro NARI (National Association of the Remodeling Industry) 2010 CoTY awards. The 1st place home was located in Darnestown, MD and the 2nd place home was located in Baltimore, MD. 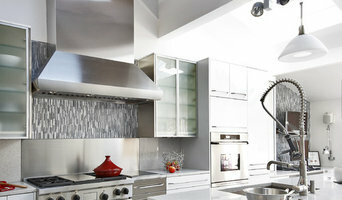 He also won the Washington, DC based, Home and Design magazine's "Kitchen of Distinction" for the second straight year. Joe resides in Austin, Texas, where he designs stunning, functional, kitchens; fabulous baths; and comfortable, beautiful spaces for clients in Austin, Texas southern Maryland, northern Virginia and Washington, DC. He is available for consultation and commission locally and nationally. Quality Residential Bathroom, Kitchen and Custom Tile Solutions Custom Surface Solutions offers quality residential bathroom, kitchen and custom tile remodeling / renovation solutions. We differentiate ourselves by personal attention to detail, quality, and reliability. We know that remodeling projects can be overwhelming, complex, and stressful. It is our goal to simplify the process by providing a single "point of contact"......we will assist you in the design, material selection, demolition, rough-in and installation of your new bathroom, kitchen, or custom tile installation. 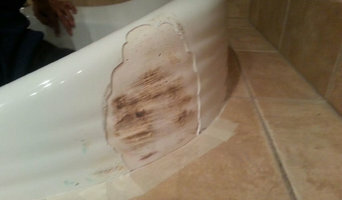 We repair and refinish existing items is bathrooms and kitchens such as: Countertops, Vanities, shower stalls, bathtubs. Made of materials that range from: cultured marble, fiberglass, cast iron, steel, stone, tile. M.H.M. Remodeling has been providing custom Bathroom and kitchen remodeling in the Austin area since 1999. I am an Austin native and have been in the Remodeling and building industry for over 22 years. I will bring my knowledge and experience to your next remodeling project. I have done major whole house renovations and remodeling, interior and exterior, but have chosen to specialize in bathroom and kitchen remodeling. Austin Home Remodeling Specialist Trusted by Austin homeowners for designing & building quality renovations since 2006 We make your remodeling project easy. From concept to completion, we do it all – with an expert team of designers, specialists and builders, we’re Austin experts in turning your home into your dream home. We specialize in complete kitchen and master bath remodels, up to complete home renovations. We love what we do and feel blessed to have created lasting relationships with some awesome clients we now call friends. In the last decade, we have accumulated over 120 Five Star Testimonials on Austin Citysearch (and counting), won the Thermador Regional Kitchen of the year award, as well as numerous service awards from HOUZZ, Citysearch, Angie’s list, and Google. If you have a special project in mind and would like to team up with a unique company to help bring your vision to life, please call us at 512.963.9043 or learn more at NewCreationsAustin.com. We focus on kitchen remodels using both custom cabinets and frame-less European cabinets - such as IKEA products - with which we have extensive experience. We often work with Semihandmade Doors and love what they provide. We work with CliqStudios, Premium Cabinets, UB Kitchens, Cabinets To Go and other local cabinet shops. We also do bathroom remodels and some whole house projects. (IE: Mainly interior work). We are extremely well organized. You will receive a detailed line item bid from us - typically within 48 hours after we visit with you. Our projects are carefully scheduled (using sophisticated project management software) and we are easy to communicate with. Our projects are typically done in one third of the time listed as an expected delivery time (on sites like Houzz). This level of efficiency is achieved by good planning and solid management systems we have in place. This also provides excellent pricing as we don't have waste. If you are looking for a fair price from a company that will stay in excellent communication with you throughout the project - you're at the right place. Concur is a well-proven, design-build construction firm serving Central Texas. Our dedicated design and construction team is ready to carry out your wishes, ideas for your project. We believe that; the most effective way to engage in any construction today is with a design-build approach. This means that one entity, the design-builder, enters into a single contract with the owner to provide both design and construction services. With sole-source responsibility of a single contract for both design and construction, the responsibility for coordinating all project elements falls into the hands of the design-build team, not the owner. Construction: We focus on the construction process, not just the result, enabling us to deliver the absolute best quality, at the best value to you. Our hands-on approach delivers projects faster, with better quality and at a lower overall cost. We begin with accurate cost information gleaned from daily competitive bidding in our markets. We have extensive long-term supplier and trade contractor relationships that allow us to get the best prices from the most qualified firms. By performing critical activities in-house, we eliminate redundant costs and fees. Design: From concept to completion, Concur Design is a team of experienced construction professionals that works with customers and architects, from concept to completion, to create custom multi-use and commercial buildings. Concur Design uses a proven project delivery system to provide a seamless and transparent building experience. As a single-source resource with a national footprint, Concur Design is trusted by customers to overseas the entire process of a construction project. Over the past 20 years, Round Rock Restoration has successfully completed thousands of painting, remodeling, home improvement, and commercial projects. We approach every project, large and small, in the same professional manner. We identify your needs and desires, and learn how each area of your home will be used. Then, we assist you step by step with your project, including layout, planning, selecting design elements, and managing your budget - all the way to completion of your project. Value by definition, is the measure of the benefits gained from goods or service while taking into consideration the importance of quality work weighing benefits vs. costs. At Round Rock Restoration, the hallmark of our work and reputation is that we provide our customer’s with the ultimate value for the projects you entrust us with. If you are selecting your contractor purely on cost, we may not always be the right fit. 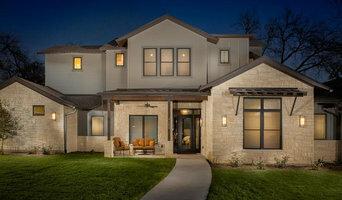 But, if you are selecting your contractor to manage the project completely from start to finish without excuses, keeping the project on schedule, bringing in professional craftsmen you can feel comfortable and safe with in your home and assisting you with material selection and project design of the highest quality, Round Rock Restoration is your firm. Value does not always mean that we will be the lowest cost option that you may be presented with, but it does mean that you will get the highest quality materials, craftsmanship and project management available in the home improvement industry today. It is a privilege to work in your home and our commitment is that in everything we do, we treat your home as if it were ours and we hold ourselves to the very highest of standards and value. Whether you are Painting or Remodeling to prepare your home for sale, adding rooms for a growing family, or for the most important reason of all, to make your home more comfortable, Round Rock Restoration provides all your home improvement needs. Call us today and give us an opportunity to show you how we do business. We've been serving the greater Austin area for over a decade, quickly becoming the top countertop fabricator and installer in the area. Our mission is to continue providing homeowners with countertops and backsplashes in granite, marble, quartzite, engineered quartz, and ultracompact surfaces. We not only provide these services, but we form relationships with our clients, and work hard to ensure they remain lifelong clients. Top-Notch Renovations is an award-winning residential remodeling firm in NW Austin specializing in kitchens, bathrooms, whole-house renovations and additions. Ours is an honest approach with the goal of each customer being completely thrilled with the end result of their project and the process of working with us. We love honest, open communication and work hard to continuously improve our process for a fantastic customer experience. The best advertising for us is a great referral, so we take this seriously and work hard until each customer is completely satisfied. 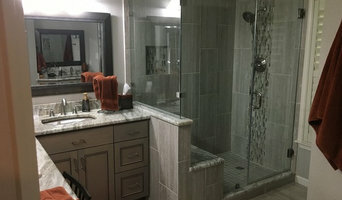 Texas Shower Company, owned and led by Chad J. Walker, is a full service, quality, bathroom remodeling company. At Texas Shower Company we are able to combine modern design, quality craftsmanship, and technical expertise to provide superior bathroom renovations to the discerning homeowner. From repairing loose shower tiles to building a luxurious bathroom suite, Texas Shower Company has the experience and skill necessary to handle any bathroom project, big or small. Our professionals have focused their skills on building beautiful showers and bathrooms which is why we are able to deliver outstanding and quality work. We go to great lengths to turn a client’s vision into reality by combining our advanced technical and creative design skills all while keeping the budget in mind. The result is a dream retreat that not only adds to the value of your home, but most importantly, your quality of life. Please note: All areas below are as a part of a shower or bathroom remodel and would not be done for other rooms such as kitchens or living rooms. At Live Oak Renovations we specialize in bathroom remodels. Anything from a new shower surround to a fully custom bathroom remodel. 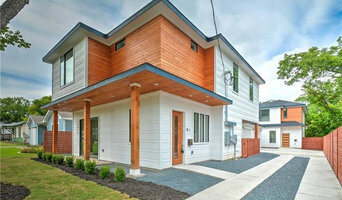 Henson Home Solutions while working together with homeowners, we work to bring their Home Renovation dreams to reality. What does a Wells Branch kitchen and bath remodeling expert do? Licensed Texas kitchen and bath remodelers are contractors who specialize in altering the structure of an existing space, rather than building one from the ground up. Because he or she must deal with a previous builder’s work, the job can get more complicated than new construction. You might wonder why they often specialize in both kitchens and bathrooms, but if you think about those two spaces, they actually have a lot in common. Kitchens and bathrooms include an abundance of fixtures that require careful planning and installation, including sinks, faucets, tubs and toilets that all need water hookups and drainage. They also use similar materials, such as tile and stone for countertops and flooring, due to the nature of their use. So it makes sense that Wells Branch kitchen remodelers and bathroom remodelers be one in the same. A bathroom or kitchen remodeler translates architectural plans from page to reality; some are also trained to provide design services so that you don’t have to hire a separate pro. Like a general contractor, a kitchen and bathroom remodeler in Wells Branch, TX is responsible for hiring and supervising subcontractors and providing materials when necessary. They also should have a thorough knowledge of Texas building codes and construction-related legal issues, as well as current design and product trends. Here are some related professionals and vendors to complement the work of kitchen & bath remodelers: Woodworkers & Carpenters, Kitchen & Bath Designers, Interior Designers & Decorators, Architects & Building Designers, General Contractors. Find a Wells Branch kitchen and bathroom renovator on Houzz. Narrow your search in the Professionals section of the website to kitchen and bathroom remodelers in Wells Branch, TX. You may also look through photos of Wells Branch, TX spaces to find kitchens or bathrooms you like, then contact the bathroom or kitchen remodeler who worked on it.